I had an idea in my head of what these gold leaf marbled Easter eggs would look like, but I had no idea how gorgeous the finished product would be, and how much I would LOVE them! These pretty little eggs look much harder to make than they really are. 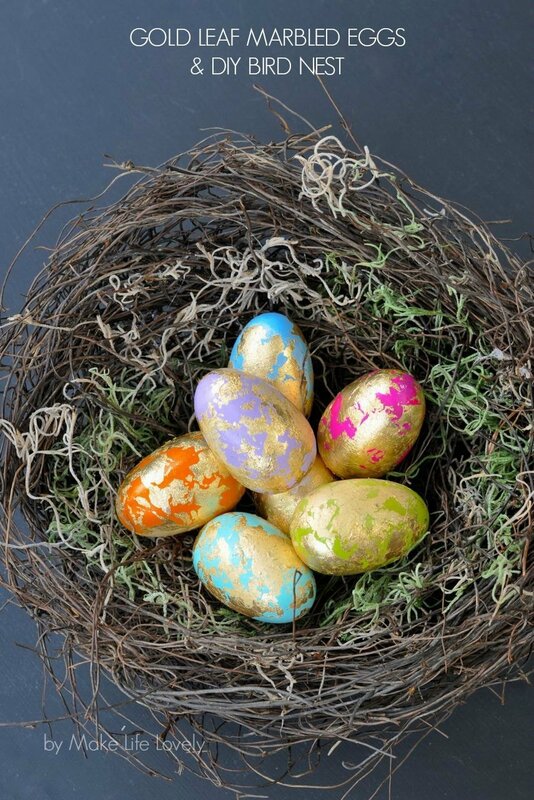 I made a natural looking bird nest for them to go in that is super easy too… Together they make a perfect pair, and I’m sharing the directions for how to make both the gold leaf Easter eggs and the bird nest on the Darice blog today. I’d love for you to stop by and say hi!